← Tyler Scholarship Applications Open! 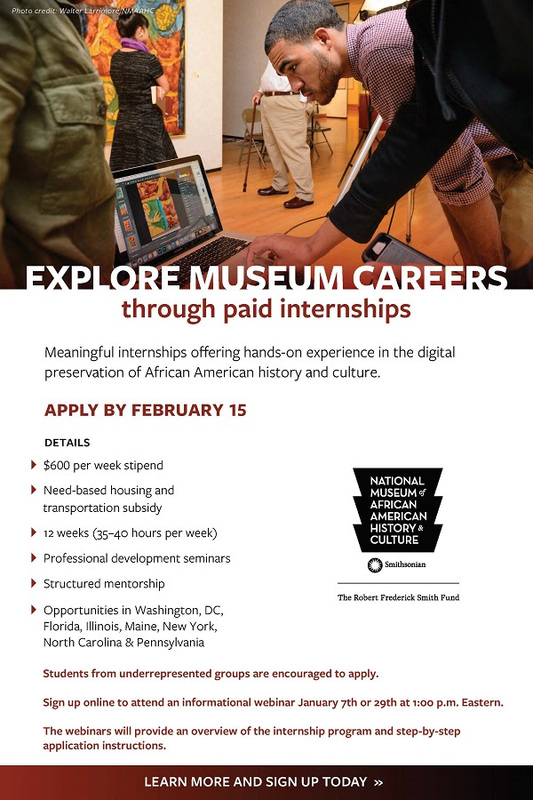 This program seeks to build pathways for historically underrepresented individuals to grow successful careers in the cultural sector. Sign up to attend an informational webinar, which will provide an overview of the internship program and step-by-step application instructions for Summer 2019. Space is limited. Now accepting applications for Summer 2019 internships. Applications are due by 11:59 p.m. February 15, 2019.